When we talk about protein in our diets, we are mostly talking about meat, eggs and dairy products. Another way of saying this is, generally, most of the protein in our meals comes from the main course. Dairy products, such as milk, cheese and yogurt are also good sources of healthy protein. In addition, there are some plant foods that are significant sources of healthy eating protein. These are the legumes, grains, some vegetables, nuts and seeds. Lentils… Split peas… Kidney beans… Pinto beans… Black beans… Soybeans… Garbanzo beans… Navy beans… Peanuts… Peanut Butter… Rice… Wheat…. Barley… Oats… Peas… Kale… Okra… Walnuts… Brazil Nuts… Cashews... Pistachios... Almonds… Pumpkin Seeds… Sesame Seeds…. 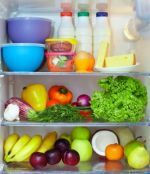 Many of the foods you eat have some protein in them, but those foods listed above, are a significant source that will make it easier for you to fulfill your daily healthy eating protein requirements. Proteins are compounds made up of “amino acids.” There are about 20 common amino acids, with nine considered “essential” because the body cannot produce them. These essential amino acids must be supplied by the food we eat. Interesting Fact: Recent studies have shown that post-menopausal women who pursue a low calorie diet to lose weight, will also lose muscle strength. This is because the combination of age and less protein in the diet, causes muscle wasting in addition to fat loss. One way to address this issue is to add several servings of supplemental protein (protein powder) to your low calorie diet. This will supply needed protein, as well as satiety, without adding too many calories for effective weight loss. For meatless protein sources, a serving, which is 1 large egg, ½ cup cooked beans or rice, or 2 Tablespoons of seeds, nuts or peanut butter, is equivalent to only about 1/3 of the protein in a serving of meat. Tofu can also be included in this group with a serving size of about 4oz. There is some good scientific evidence that we should consume more plant proteins and fewer animal proteins to protect against heart disease, stroke and cancer. Not everyone agrees with this premise, but it can't hurt to include more plant-based proteins in your diet, especially since they come packaged with lots of fiber, which also seems to be protective against disease. When a researcher looked at all the healthiest populations in the world, a common theme was consuming less meat and more legumes. Since legumes are also less expensive and require fewer resources to produce, you will also help your budget and do your part for the planet! Fun Fact: One good source of protein is your own digestive tract! Your body can reuse the protein from the cells of your gastrointestinal lining when they are sloughed off (about every three days) and replaced with news ones. This allows you to have a cache of protein available from a source other than the food you eat. Click here to go from Good Protein Sources page to Amino Acids page.